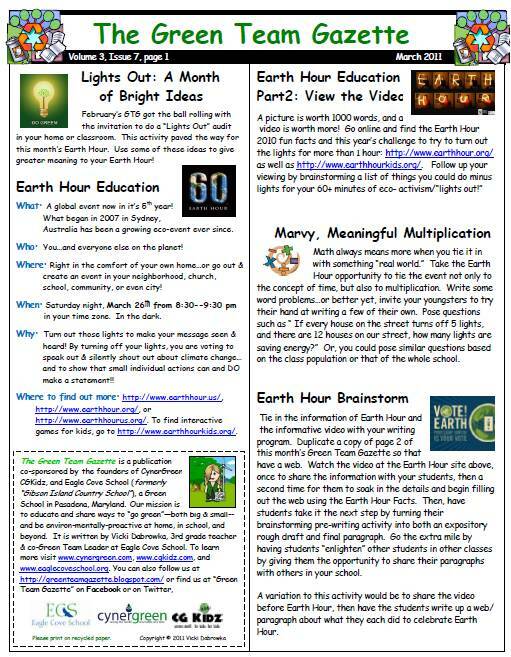 Green Team Gazette: March's GTG Newsletter is Out & About! 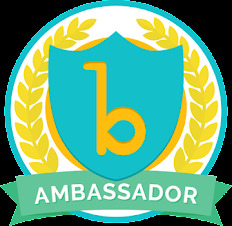 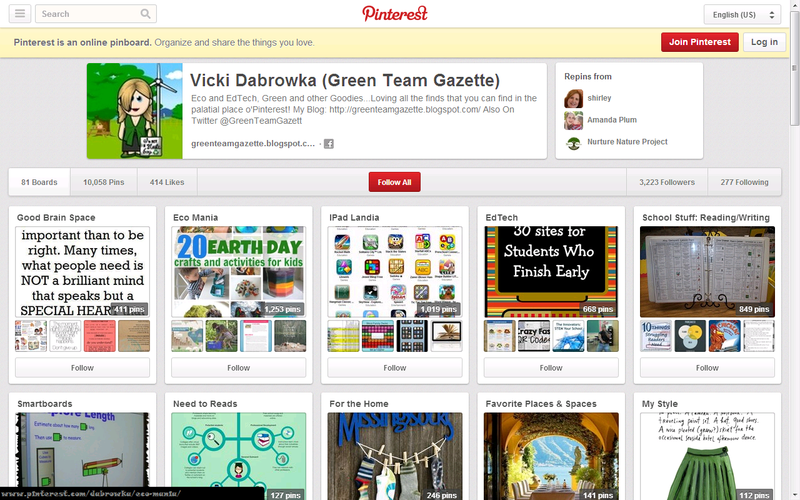 It's March 1st, so the March Green Team Gazette Newsletter is out! which is a mere 25 days away!! 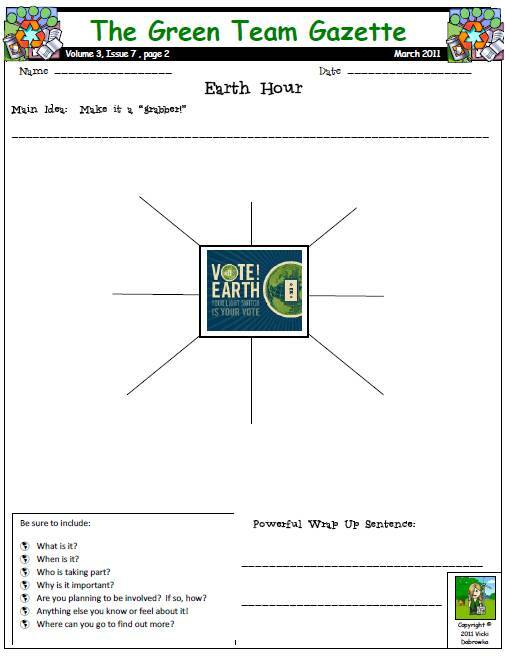 for any Earth Hour writing you may want to do! 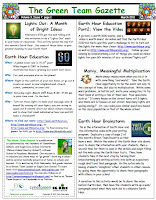 Click the title above, or go to http://www.eaglecoveschool.org/library/resources/GreenTeamGazettes/GTG2010-2011/GreenTeamGazette3.7March2011.pdf.